The Count is a Beneteau 57, Sydney’s “pocket” superyacht. 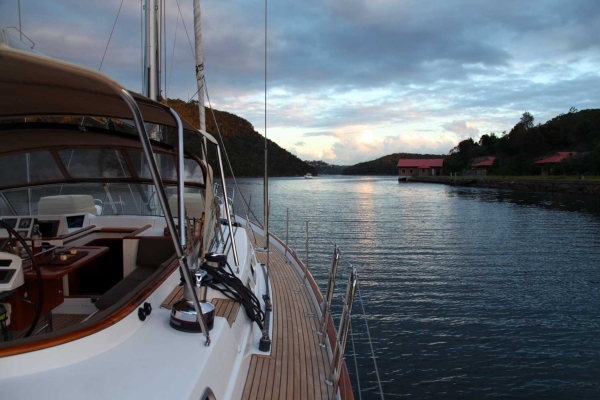 With her dark blue hull, teak decks and brightwork, her image and style is what sets her apart from other yachts. Besides her good looks, The Count is perfect for entertaining. 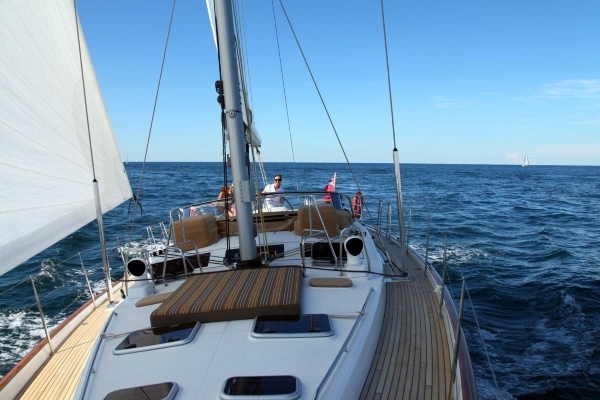 The comfortable centre cockpit provides seating for ten guests, and the very spacious aft deck is clear of any operating sailing gear so is ideal for relaxing with guests. includes a sun lounge perfect for relaxing in the sun. 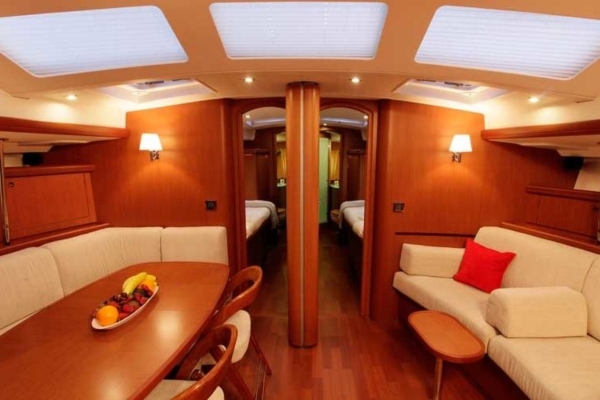 This luxury vessel offers two double guest cabins forward, a spacious queen size master, and an aft cabin and en-suite facilities to all. 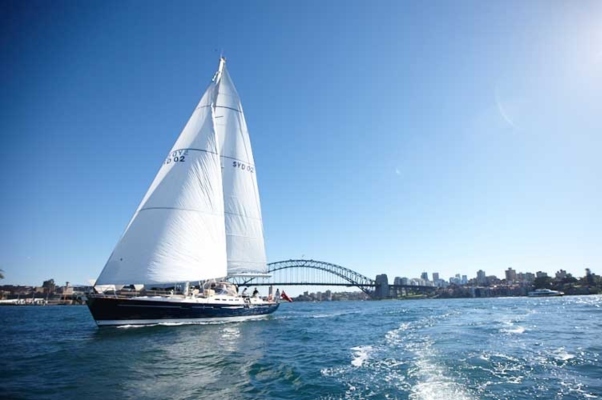 Whether you’re looking to enjoy a relaxed cruise or sail around Sydney Harbour, for celebrations with family or friends, corporate entertaining or something a little more adventurous – The Count is the ideal yacht for entertaining and her features are what set her apart from other yachts. 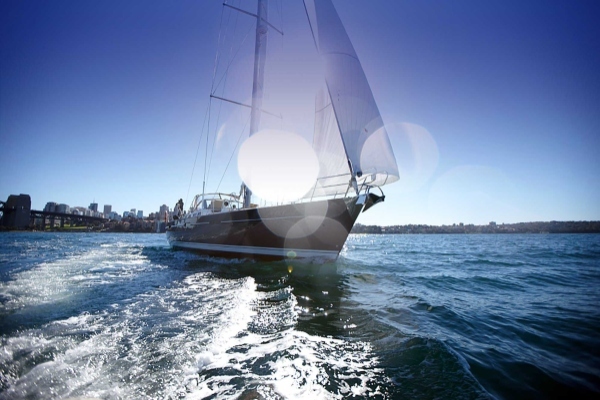 Provides excellent catering selections to suit any charter. Ranging from sandwich and gourmet roll platters, canapes and buffet selections to formal dining selections. The Count is a non-smoking yacht – no exceptions made. Special rates apply for Christmas Eve, Christmas Day, Boxing Day, New Year’s Eve, New Year’s Day and Easter. Guest are advised to wear non-marking shoes. High heels are not permitted to be worn aboard. Your understanding of the above conditions is appreciated. Our menus are designed to suit different types of occasions and taste, and can be adjusted to suit your needs or special dietary requirements. Please contact us to discuss further options. This menu is suitable for formal or casual entertaining. Quantities are for a minimum of 12 and up to 16 guests. and specialty bread sandwich selections and a cheese or fruit platter. three selections of canapés, a main course and desert.